Hearing mass together has been a family tradition since I was a little girl. Now with my own family of grown up kids, we continue to observe this tradition every Sunday morning, usually followed by lunch together. One hour devoted to worship, once a week should not be a problem at all. However, we have all raised ourselves to have very short concentration spans, and the priest’s homily has become the “sacrifice” of the mass, no pun intended. I’m almost 100% sure that more that 50% of the mass goers are not really listening to the homily but are somewhere else in their thoughts, if they have not yet dozed off to slumber land. This is very sad, and a big waste of time and opportunity. The homily during the Sunday mass is a great opportunity to really engage the captive audience (sorry for the term) to think, reflect and do something to improve their lives. If this weekly opportunity is optimized, can you imagine the benefit that can be derived by the families, and the country as a whole? My unsolicited advice to the Catholic Church (that’s where I belong so I can only speak for what I experience every week) is to train all their priests to deliver great homilies. Make them watch the presentations of Steve Jobs on You Tube, great Ted Talks and read books on effective public speaking. In any public speaking, there are some factors to consider. What is the goal in today’s homily? Usually, the gospel and the other readings are the bases. And the goal is for these bible readings to reach each and every churchgoer in a meaningful way. In order to catch the attention of the churchgoer, it has to be relevant to him. Even in church, “What’s in it for me?” is still at work. What are his concerns at this point? What is currently happening in our society that he might want to hear about? The method most priests use is to deliver the homily using the podium in a lecture type. Not quite effective as there is minimal, if not zero, engagement. What if he uses visuals? Anyway, all churches are already equipped with screens where they flash the responses and announcements. Why not use this existing equipment to make the sermons come alive? The priest can engage the audience by asking them questions, even just requiring a show of hands. Story telling is the best way to deliver a message and the easiest way for the listener to remember the message. Our brains are wired to understand things better when told in a story. This is the most talked about aspect of the homily these days. No less than Pope Francis has warned the priests, “Use simple words that everyone can understand. And avoid long sermons please!” Our very own Archbishop Soc Villegas was quoted saying, “Pity the people of God, stop the homily abuse for they can harm souls!” Two Sundays ago at Gesu, Fr. Art Borja, S.J. said, “Priests should keep their sermons short, for there is no salvation after 7 minutes!” I was so happy to hear him say that, I ended up clapping… all by myself. If you heard mass at Gesu last June 5, that was me. Then after two seconds, there was laughter from the other churchgoers. 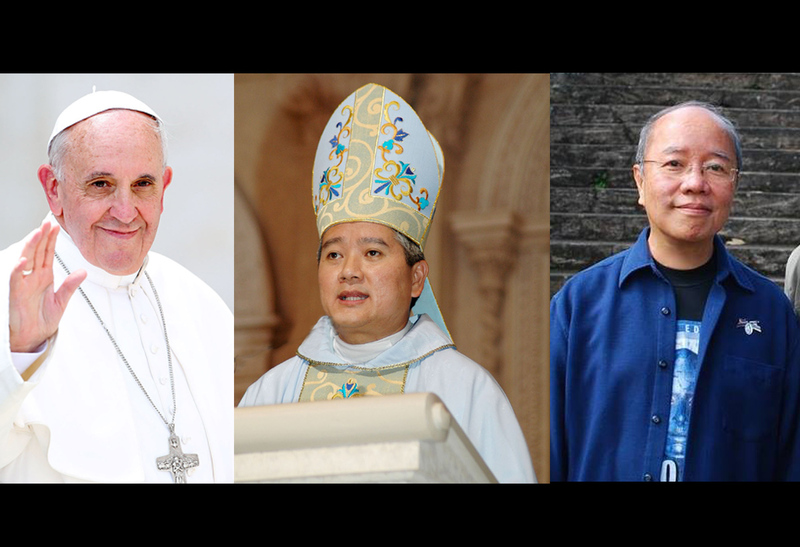 Left to right: Pope Francis, Archbishop Soc Villegas, Fr. Art Borja, S.J. Among the greatest Ted Talks. 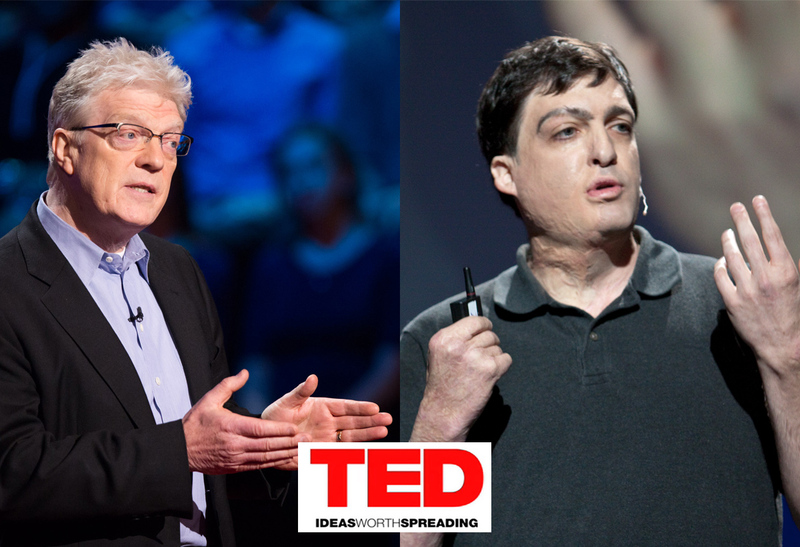 Left: Sir Ken Robinson on education; Right: Dan Ariely on Behavioral Economics, both no more than 18 minutes. The thing is, sometimes it’s not so much the length per se (although it’s better to leave them longing for more, not less) but the way the homilies are delivered. I swear there are some priests who talk in this monotone voice and just go on talking and talking without any apparent point. You may have successfully not fallen asleep but with the heat and all, you just feel that all your energy has been sucked out. I don’t think God will be happy to have guests like that in His house. Salvation. The good news is, there are some priests who deliver good homilies. There is a handful among the Jesuits like the one I mentioned in number 5. I also remember Fr. Johnny Go, former president of Xavier School, who would have PowerPoint (or Keynote) presentations, sometimes with songs by Katy Perry and a sprinkling of current movies. The Lord of the Rings series seems to be a favorite among the Jesuits. Last Sunday at Celebrity Sports Plaza, we also heard a good and short homily from Fr. Joel Buenviaje. 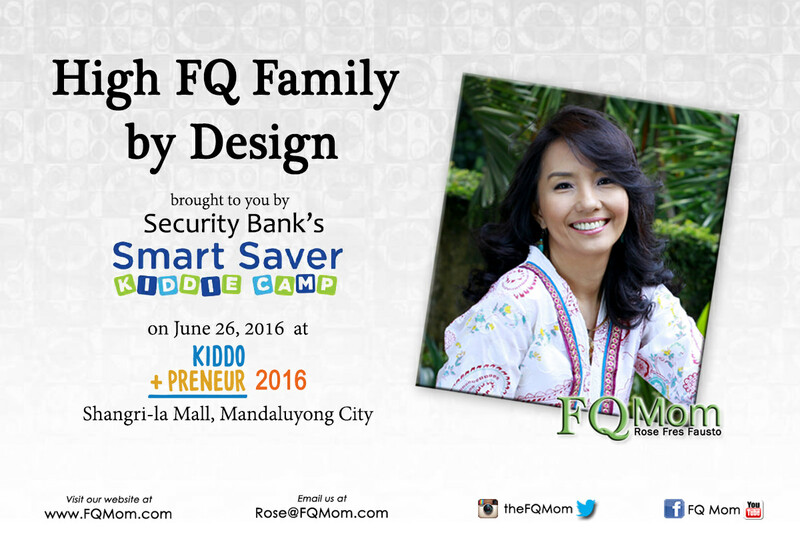 Upon the suggestion of my son, we approached him to tell him that we liked his SSS (Short Sweet Spiritual) message. He was pleasantly surprised to hear our comment. Left: Fr. 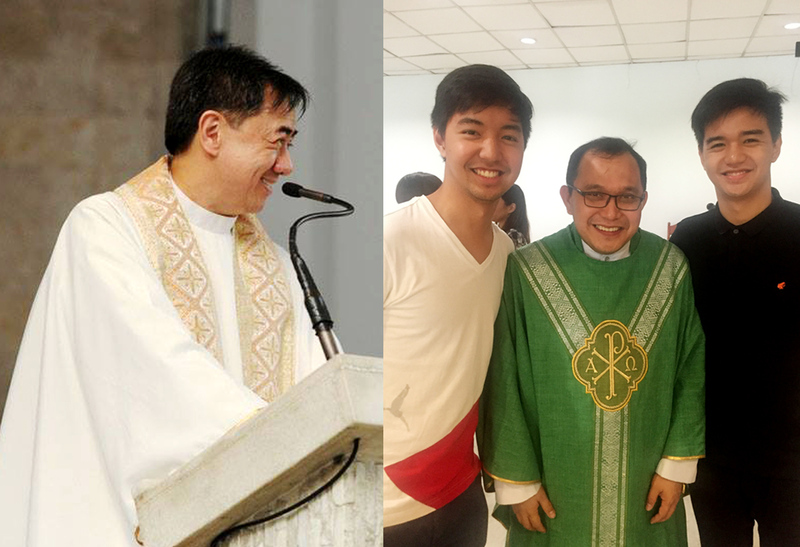 Johnny Go, S.J., former president of Xavier School; Right: Fr. Joel Buenviaje with the authors’ sons Enrique and Anton. Wouldn’t it be great if all priests delivered SSS homilies? And there is no other way to do this but to prepare for it and not wing it. The Catholic Church should remember that majority of our population still belongs to their institution, however loosely we are grouped. And one way to make our group more coherent is to maximize the use this powerful tool called homily delivered at least once a week. Give a directive on the main message to deliver each Sunday. Require the priests to have a clear outline, rehearse and manage their time. End up with a provocative thought for the parishioners to ponder upon and discuss with their respective families. Give them action items and encourage them to be active stakeholders, not passive churchgoers. Can you imagine what we can get out of this renewed involvement? ATTRIBUTIONS: Images from milibrary.org, 123rf.com, Imagine Nation Photography, satgrecatvocabulary.files.wordpress.com, people.com, thirteen.org, commons.wikimedia.org, cbcpnews.com, Art Borja’s Facebook, wesharepics.info put together to help deliver the message of the article.